He's won a championship. He's broken records. He's the biggest superstar in a sport full of superstars. Golden State Warriors phenomenon Steph Curry is living the dream. 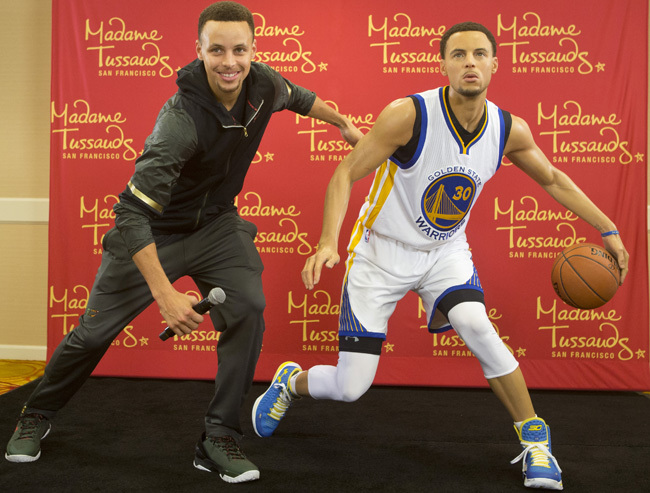 But his celebrity status was made official on Thursday when Madame Tussauds San Francisco unveiled a wax figure of the point guard. At an event in Oakland, Curry came face to face with Wax Steph — an eerily realistic version of himself wearing Warriors home white and in mid dribble. The life-size statue is so accurate, in fact, it has all of his tattoos and even his scars. A team of artists and sculptors took 250 measurements of Curry and spent nearly four months (and $350,000) to create Curry's wax doppelgänger. And the final product is so good, Curry's daughter had to touch it to make sure she wasn't seeing double. 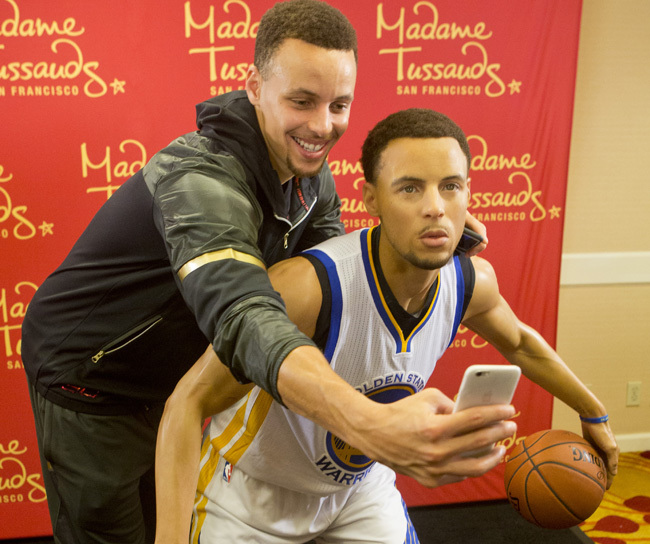 But the ultimate seal of approval came when Curry took a selfie with, um, himself.